Some of you might see this picture before. It is really beautiful and breathtaking. However, do you know where this photo was taken? 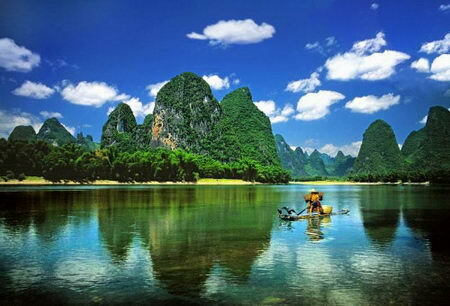 After a bit research, finally, I find that it is GuiLin of China. 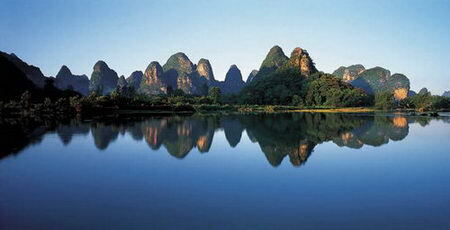 As a scenic town and one of the best-known tourist destinations in China. 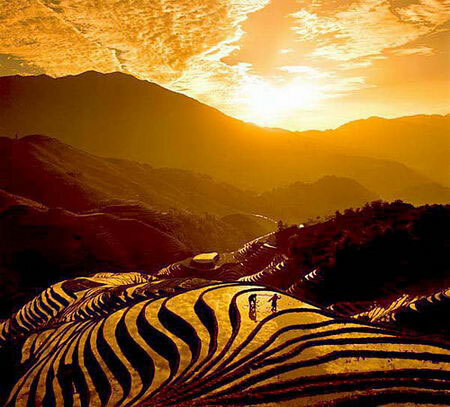 There are many scenic places, including Longsheng with its famous Longsheng Rice Terraces (the exact place where the above picture was taken); The Li jiang river, Elephant Trunk Hill and Guilin Fubo Hill; Guilin Reed Flute Cave and much more. 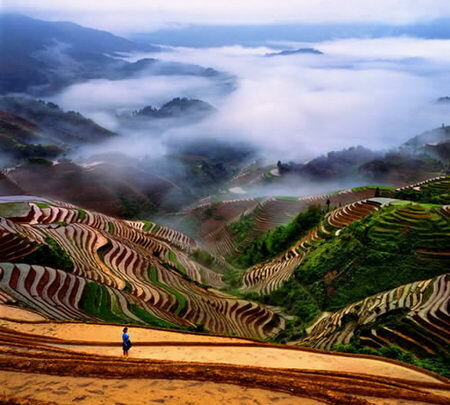 The Longsheng Rice Terraces are built along the slope winding from the riverside up to the mountain top, the highest part being 880 m in elevation while the lowest part 380 m in elevation. 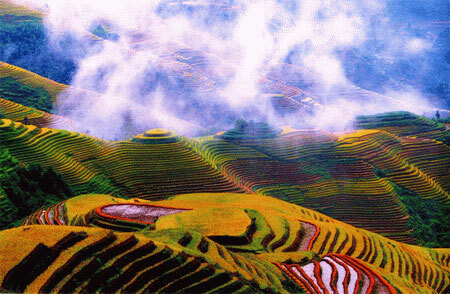 The coiling line that starts from the mountain foot to up to the mountain top divides the mountain into layers of water glittering in the sun in spring, layers of green rice shoots in summer, layers of golden rice in fall, and layers of silvery frost in winter. 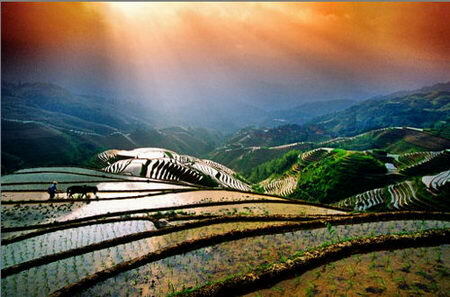 The terraced fields were mostly built during the Ming Dynasty about 500 years ago. 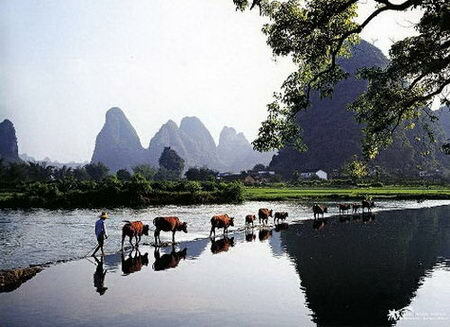 Elephant Trunk Hill juts out into the Li River where it joins the Peach Blossom River. 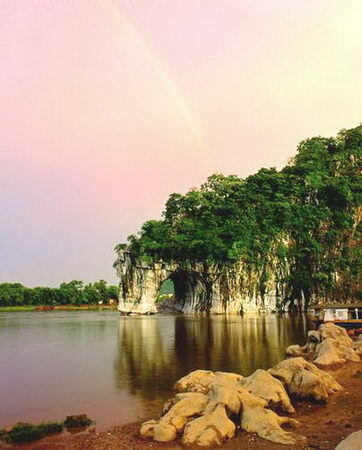 It is the symbol of Guilin City. Elephant Trunk Hill is so named because it looks like a giant elephant drinking water with its trunk on the Li River bank. At dusk, it looks extraordinarily lively. 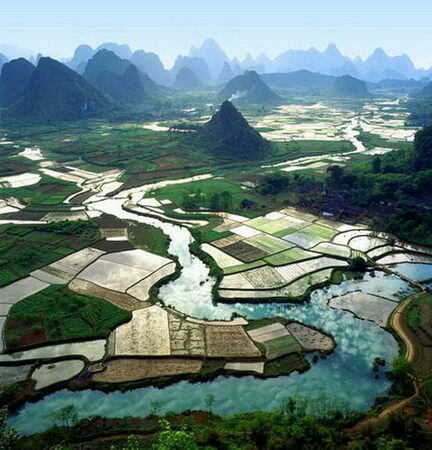 EStanding above the ground, Fubo Hill, or Wave-Subduing Hill, slopes into the Li River in the east and looms in the west. It is so named because waves and ripples run back wherever they meet the peak, which descends into the river, blocking the water. 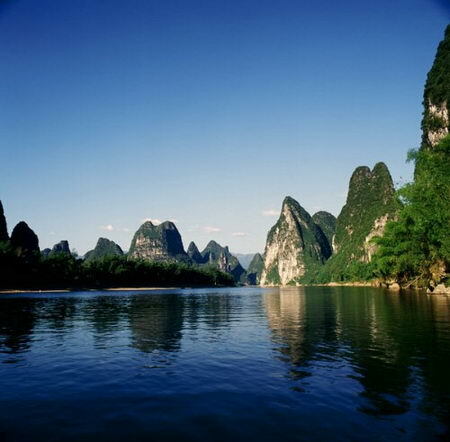 The long and winding Li River, meandering on its way from Guilin to Yangshuo, has been the inspiration for countless poems, paintings, and songs. 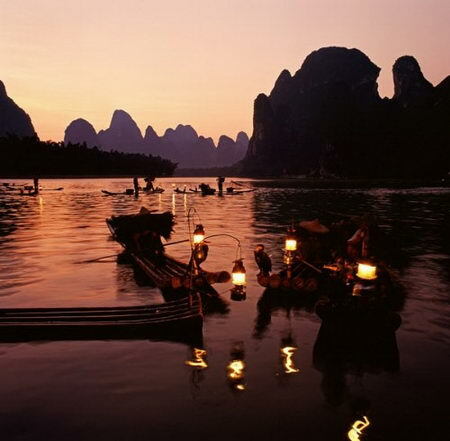 It is the main attraction in the area around Guilin and, along with visiting the region’s many ethnic minorities, is the primary reason many travelers come to Guangxi. Gorgeous pictures, will visit for sure! 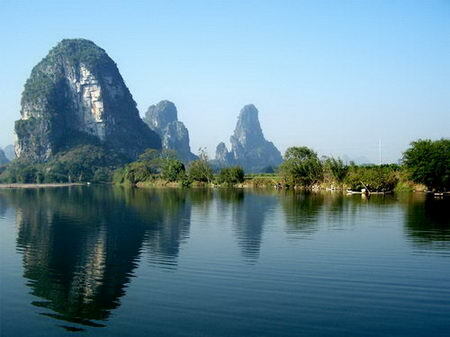 One of the things i like about Guilin is that there are so many things to do, to see in Guilin, in evening or daytime! 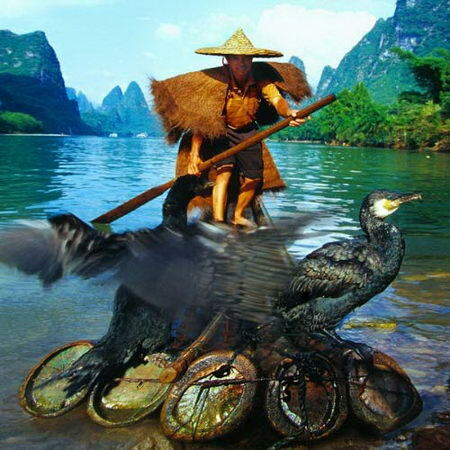 Vivian, your photo of the comorant fisherman is eye-catching!